Punches and chisels are made from heavy-duty chrome vanadium steel, heat treated and tempered. Ideal sets for metal work, automotive applications, carpenters and locksmiths. 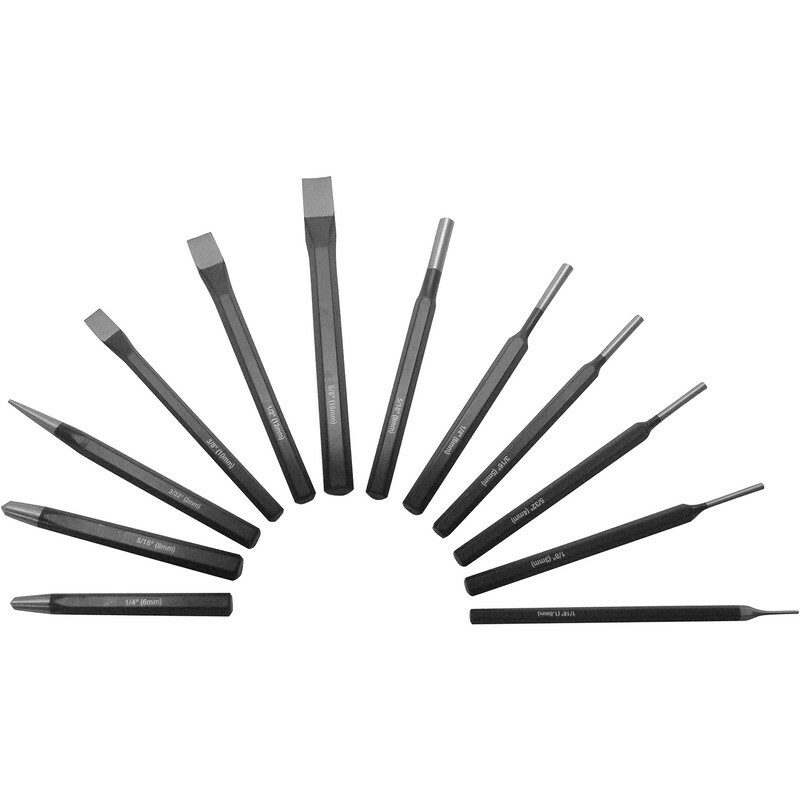 Set contents: • Parallel Pin Punches: 1.5mm, 3mm, 4mm, 5mm, 6mm, 8mm • Centre Punches: 6mm, 8mm • Taper Punch: 2mm • Cold Chisels: 10mm, 12mm, 16mm.